Beverly Hills, California – (November 13, 2014) - Julien’s Auctions, the world’s premier entertainment and music memorabilia auction house has announced an exclusive auction event of unprecedented historical and pop culture interest. The Colin Cantwell Collection will include exclusive memorabilia from the fascinating career of a pioneer in the arts and sciences, who has dedicated his life to pushing the envelope of what is possible not just in film and television, but science as well. The collection of extremely rare artifacts has been preserved within his own private collection and will be auctioned on December 5 & 6, 2014 at Julien’s Auctions Beverly Hills gallery located at 9665 Wilshire Blvd in Beverly Hills, California. Fans, collectors, and film enthusiasts will have the chance of a lifetime to bid on previously unseen memorabilia from classic films and television shows such as Star Wars: A New Hope, 2001: A Space Odyssey, Buck Rogers, WarGames, Close Encounters of the Third Kind, Battlestar Galactica, Aliens, and even the first IMAX film (then called Omnimax, with “Voyage to the Outer Planets”, which was written and directed by Colin Cantwell). Also expected to get attention from historians is the set of NASA Apollo 11 flight plans that Mr. Cantwell used in studio at CBS as he worked with Walter Cronkite in his historic broadcast of the 1969 moon landing. 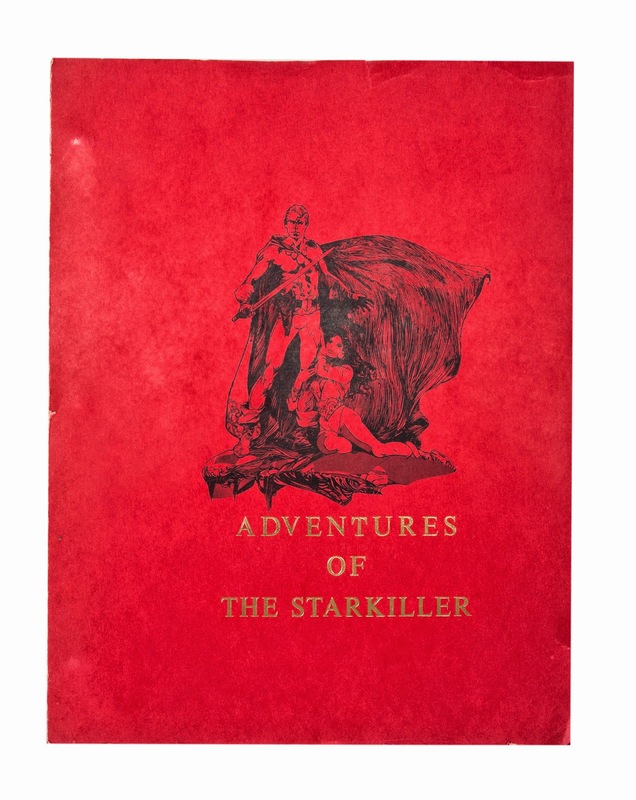 In addition to rare original Star Wars artwork is an original copy of one of the earliest drafts of the film, then titled “Adventures of the Starkiller (Episode One) ‘The Star Wars’”. Colin Cantwell, both a computer and science fiction movie pioneer, was instrumental in advancing technology with cutting edge techniques and a unique vision for realizing the dreams of notable filmmaking auteurs. Colin's career began in 1955 when he attended the University of California Los Angeles as an art and engineering major. After suggesting that UCLA add an animation major to their curriculum, Colin then became the first animation graduate from the University. While at UCLA, after listening to a Buckminster Fuller seminar, Colin spent three days analyzing the content to determine what Bucky Fuller might have missed. As a result, Colin developed the concept of Cosmic Biodesics. 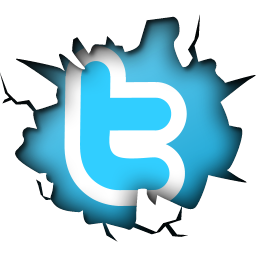 Today, Colin is still working on innovative developments in this area. A few years later Colin joined Hewlett Packard where he designed 36 demos with interactive graphic applications and 5000 colors that took Hewlett Packard from green computer screens into the world of color computer graphics. His next adventure was working as a public information liaison at NASA. In this role, Colin created TV animation for each new mission to Mars, Venus, and following planets. 1968 took Colin to England where he worked on the classic Stanley Kubrick film, 2001: A Space Odyssey. During a midnight snack at Kubrick's home, a frustrated Kubrick told Colin that he had replaced his fourth composer and still was not satisfied with the music. Colin then suggested that Kubrick go for a memorable opening with the music "Also sprach Zarthustra" by Richard Strauss. Colin also suggested the compositions of “Adagio” by Aram Kachaturian and “Atmospheres” by Gyorgy Ligeti. In addition, Colin designed the title scenes and managed the completion of the animation for the last three months of production on the film. In 1973, at the Ruben H. Fleet Space Theater Planetarium, in San Diego, Colin wrote, designed, and directed the first OMNIMAX spherical projection movie, Voyage to the Outer Planets. OMNIMAX is now known as IMAX. Colin's most notable contribution to the film industry was working closely with George Lucas on the space ship designs for the original 1977 Star Wars film, Star Wars: A New Hope (now known as Episode IV). This includes the prototype models and designs of the X-Wing, Y-Wing, Tie Fighter, Star Destroyer, Death Star, Landspeeder, Sandcrawler, and Millennium Falcon, as well as the T-16 Skyhopper that Luke is seen playing with in the film. In addition, in pre-production discussions, he outlined his vision for some of the fighting scenes including the climactic battle scene at the Death Star and contributed the idea of there being a trench with a weakness that could be exploited by our heroes. For Close Encounters of the Third Kind (1977), Colin presented Steven Spielberg with his vision of the first scene design of the hovering alien ship. Doug Trumball then became responsible for designing the scenes in the final movie. Around 1979, Colin developed a revolutionary new device called an interactive motion control system. 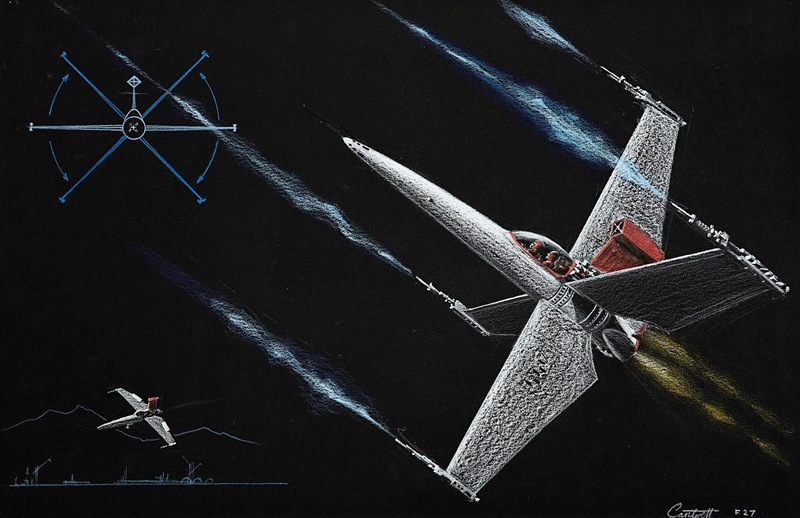 This allowed animators to more easily simulate the movements of the spacecraft during the design phase of space battles in the Buck Rogers TV Series (1979-1981). Colin subsequently proposed the creation of the Universal's Hartland special effects facility. In one of his last Hollywood projects, Colin was asked to design the NORAD war room scenes for the movie WarGames (1983). The 12 giant War Room wall screens were programmed by Colin in a rush environment where each screen's programming occurred the night before filming. These "large monitors" were, in fact, about 6x8 inch Hewlett Packard computer monitors that were enlarged for dramatic movie effects. One of his most memorable and important experiences was in July of 1969. At that time, Colin was positioned behind Walter Cronkite in the CBS studio while Walter gave a riveting description of the first Apollo 11 landing on the moon. Colin was at the "Hal 9000" computer that was feeding Walter the actual flight information that was broadcast live on TV during the moon landing. Today, Colin continues to advance his Stellar Biodesics concept that he has been developing since the Buckminster Fuller seminar in 1955. 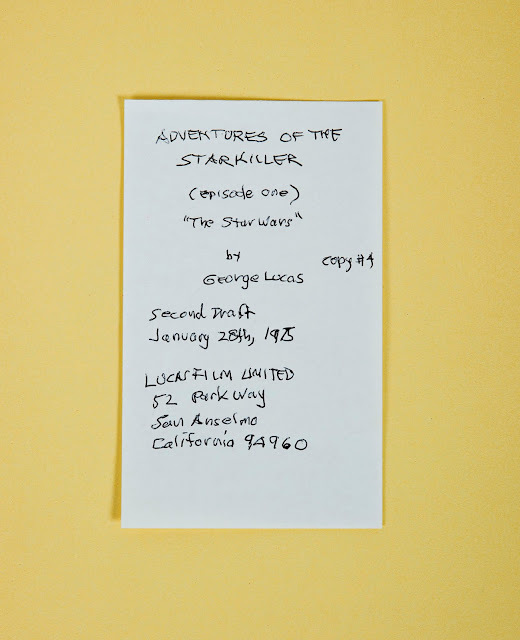 Highlights of The Colin Cantwell Collection include Original NASA Apollo 11 Flight Plan with an estimate of $10,000-$15,000, Eight Different Star Wars Pre-Production (1974/1975) Full Color Illustrations (Estimate: $2,500-$5,000 each), Six Different Sets of Initial Star Wars Starship Designs (Estimate: $500-$1,000 each), 2001: A Space Odyssey Production Notebooks (Estimate: $500-$1,000), Close Encounters of the Third Kind Pre-Production Full Color Devil’s Tower Illustration for Computer SPFX Experiments (Estimate: $1,000-$2,000), WarGames Collection of Special Effects Equipment (Estimate: $1,000-$1,500), A January 1975 Original Star Wars Screenplay, then titled “Adventures of the Starkiller” ( Estimate: $2,500-$5,000) and an extraordinary array of many more collectible pieces of rare memorabilia. Fans and collectors can view the entire collection at www.juliensauctions.com. All of the property in the auction will be featured in a full color limited edition catalogue available for purchase at www.juliensauctions.com. Enter Absentee bids. Absentee bid forms are included in the back of each catalogue, and are also available by calling Julien's Auctions or online at www.juliensauctions.com. With expertise specializing in entertainment and sports memorabilia, Julien’s Auctions has quickly established itself as the premier auction house in high profile celebrity and entertainment auctions. Julien’s Auctions presents exciting, professionally managed and extremely successful auctions with full color high quality auction catalogues unlike any other auction company. Previous auctions include the collections of Cher, U2, Barbara Streisand, the estate of Marilyn Monroe and many more. Official website is www.juliensauctions.com.